This watchstrap is made from a vintage Swiss ammopouch dating back to the 1960's. The lining leather is soft vegetable tanned cowhide. The strap is treated with wax and leathergrease, edges polished with wax. Waxed linen thread. Ready to ship and ready to use. The strap in the picture is the one you will receive, every ammostrap is unique. 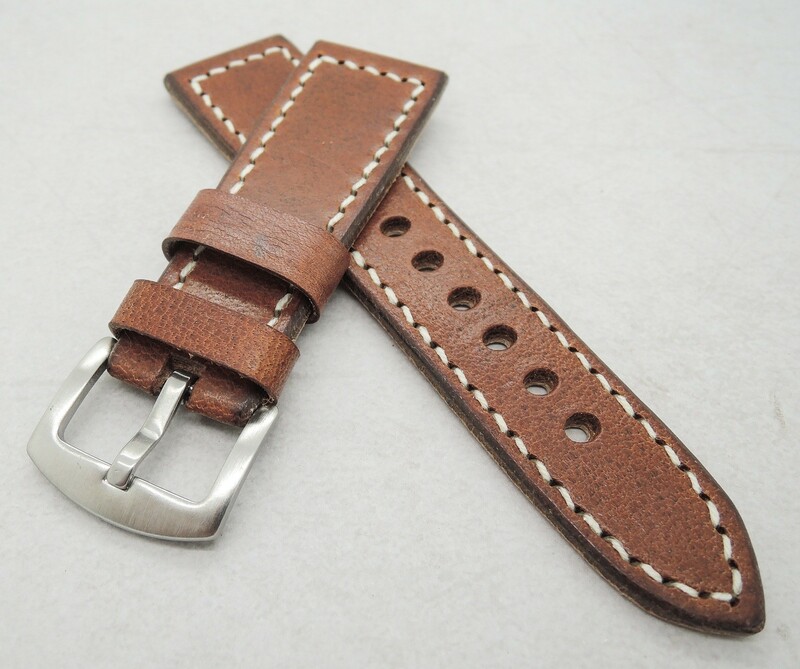 This watch strap is entirely made by hand and hand-stitched, by me.